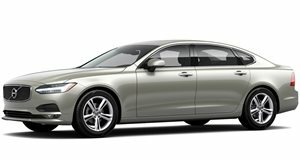 The Volvo S90 is a smooth and comfortable luxury sedan with great styling and an abundance of technology. The Volvo S90 T5 Momentum starts off at $46,950 for the 250-hp 2.0-liter turbocharged version that drives the front wheels, while the higher spec Inscription comes in at $49,650. The more powerful T6 AWD Momentum starts at $52,950 and the T6 AWD Inscription lists at $55,540 and both of these feature a turbocharged and supercharged 2.0-liter 4-cylinder with 316 hp available. All cars make use of a really good 8-speed automatic transmission to make the overall drive a smooth and safe experience. While many in search of an imported, full-sized luxury sedan immediately turn to the usual German suspects, but there’s really no reason to overlook what the Scandinavians have on offer. The Volvo S90 is the complete package with unique exterior styling, brilliant interior layout and materials as well as some industry-leading technology. There’s good reason the Volvo S90 has won multiple awards in Russia, Germany, China, Portugal, Finland and also the USA where it was named Design of the Year, Luxury Car of the Year and Best Human Machine Interface by various institutions. If you have to get really picky, you could fault the Volvo S90 on the engine options, but that’s about it. When you step inside the large interior of the Volvo S90, you can immediately see why the automotive design world has sung it’s praises and Volvo calls it a Scandinavian sanctuary. Top quality leathers, wood finishings like Flame Birchwood inlay and even authentic crystal can be found throughout the cabin, and the design is a combination of elegant style and practicality with a lot of thought put into available space and layout. The shifter is a bespoke glass piece from Orrefors, a crystal design house in Sweden. The multi-adjustable power front seats offer a brilliant combination of comfort and sportiness and are regarded as among the best available. The dashboard follows a sort of minimalistic theme with the centerpiece being the tablet-sized screen that heads up the infotainment and available navigation. This can be controlled via the multifunction steering wheel as well as from the dial just below the shifter where the drive mode roller switch is located. Space is at a premium, rear passengers will never feel cramped, and all manner of luggage can fit in the 13.5 cu.ft trunk. The Volvo S90 offers up a sublime drive no matter what specification is chosen. The power delivery on the two available engine options is responsive and the setup feels more powerful than the numbers suggest. The T5 models receive drive to the front wheels and the balance and drive modes are such that it actually takes work to force understeer. The T6 variants are equipped with an all-wheel drive drivetrain that is superior, but these cars will likely never need to exploit the extra traction and grip the system offers. It’s good to know it’s there if you need it. The electronically assisted steering does come across as being a little heavy but the assistance is strong enough to make light work of parking. The S90 also features Pilot Assist, a standard feature on the S90 that offers up semi-autonomous driving. At up to 80 mph the S90 will use it’s adaptive cruise control and lane keep assist to steer the car to follow traffic. 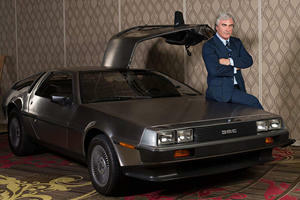 You can let go of the steering wheel but only for 15 seconds at a time. The Volvo S90 range comes with a choice of two engines that are specific to the trim. The T5 Momentum and Subscription models feature a turbocharged 2.0-liter 4-cylinder that creates a decent 250 hp with 258 lb-ft of torque. When you go up to the T6 models, they both feature an all-wheel drive drivetrain and so have been tuned to push out more power to compensate for the extra weight. The engine still measures in at 2.0-liters but this time features a supercharger as well as a turbocharger and this results in power of 316 hp and 295 lb-ft of torque. All models use Volvo’s 8-speed automatic transmission, silky-smooth in operation and with gearing perfectly matched to what the engine revs need. 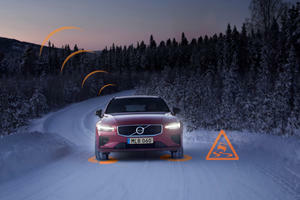 When it comes to safety, Volvo has been known to be one of the safest cars on the road, and things are still much the same. Airbags are all round with a curtain airbag included, a side impact protection system, protective front seats with energy absorbing cushions, and a collapsible steering column. Passive systems include City Safety to prevent low speed bumps, distance alert, a blind spot information system, active light bending and auto braking after a collision. The road sign information system is handy, it reads road signs and adjusts speed accordingly. The 360-degree camera is brilliant when parking too. There’s an available 1400-watt Bowers & Wilkins 19-speaker audio system, a must have for audiophiles. The Volvo S90 is the perfect option for those wanting style and class but while being different from the crowd. 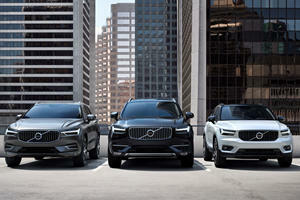 Exterior styling definitely makes the large Volvo stand out, and the interior styling is luxurious while being safe, well appointed and minimalistic. The available engine and drivetrain combinations make for a smooth and comfortable drive, although power is the only area that the Volvo seems to lack when pitted against rivals and at the top of the rev range can seem a little louder than it should be. The overall package of the Volvo S90 is well worthy of consideration over the usual suspects. The prodigal Comeback Kid speaks Swedish.